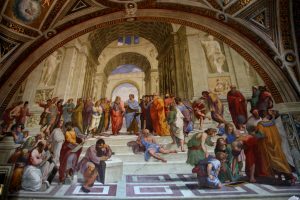 Did Christianity Destroy Classical Wisdom? Did Islam Save It? Ed Husain was unusually credulous when he doubted the existence of the historical Jesus on a recent episode of Premier Radio’s Unbelievable? show. As I argued in a previous article, this is roughly as plausible as a geocentric view of the solar system. Slightly more understandable – but only slightly – is Husain’s critique of Christendom. Husain’s polemic seems to break down logically into two parts. First, Christianity is intellectually suspect because Christianity has failed to sustain a Christian civilization in the West. The Enlightenment and the process of secularization has rendered Christianity politically and culturally irrelevant in Europe and America. Second, secularisation was inevitable because Christianity is inherently anti-intellectual (or at least it is so relative to Islam). The anti-intellectual undercurrents in Christianity made the Renaissance and the Enlightenment necessary. Husain argues that Christianity neglected, lost – or perhaps even destroyed – classical civilization; by way of contrast, Muslim scholars laboured to rediscover and preserve the teachings of Plato, Aristotle, Euclid and Galen. Thankfully for the West, Christian thinkers encountered Islamic scholarship in the Middle Ages. Thanks to Thomas Aquinas’s appropriation of Avicenna and Averroes, the Dark Ages finally ended in Western Europe. Islam emerges as the saviour of civilization. But this view of history does not bear the slightest examination. It is true that Tertullian and John Chrysostom took a negative view of the Greek philosophical tradition. But before we accuse these theologians of apocalyptic anti-intellectualism we should take note of a few facts. First, unlike Graeco-Roman religion, Christianity was a “religion of the book” with substantial doctrinal and ethical content. Like Judaism, Christianity was a “bookish” religion, which not only encouraged the copying, distribution and study of the scriptures, but also valued books which applied and reflected upon the content of those scriptures. Second, because of Christianity’s “bookish” nature, and because Christianity offered metaphysical explanations and ethical guidance, observers like Galen considered Christianity to be a philosophy in its own right. Critically, Galen realised that this new Christian philosophy was in directly competition with the other philosophical schools of the day. This goes some way towards explaining Tertullian’s hostility to Greek metaphysics. Third, Tertullian and Chrysostom were well versed in rhetoric and dialectic; they were not uncultivated philistines and they did not casually reject every intellectual endeavour the pagan world had to offer. Fourth, for every Tertullian there was a Cyril of Alexandria, Justin Martyr and Augustine. 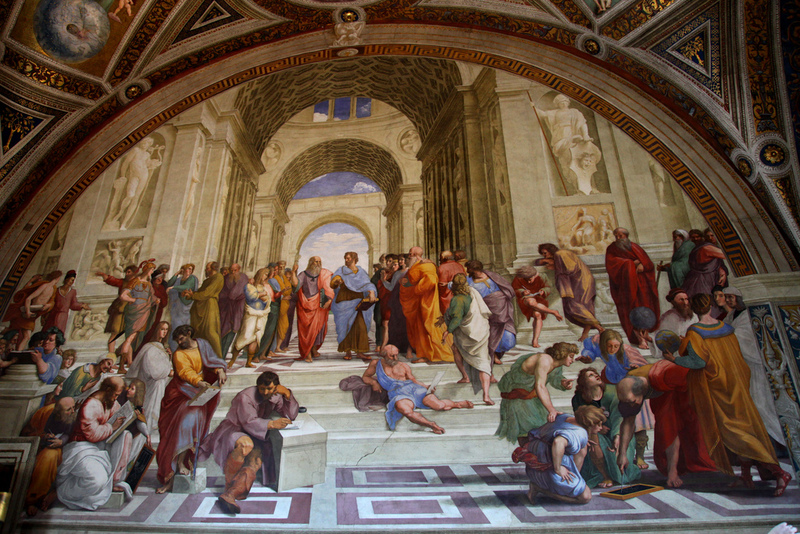 These writers did not uncritically accept the classical philosophical tradition – but they did study it, learn from it, and put it to work in the service of the new Christian philosophy. Critical acceptance of classical learning was the order of the day, not incorrigible scepticism. It is true that much learning was lost as the Roman Empire collapsed. In the West, knowledge of Greek was lost and with it knowledge of luminaries like Aristotle. But this can hardly be attributed to a Christian denigration of Graeco-Roman scholarship. The curriculum in the Byzantine Empire focused on Homer, Euripides, Aristophanes and Demosthenes. In the West Cassiodorus (485–580) retired from governmental life to found the monastic Vivarium in southern Italy with the express goal of preserving ancient learning. Benedictine monasteries would follow Cassiodorus’s model and their scriptoria would become centres of literacy and learning. Why Husain thinks that Christian scholarship was a dead enterprise until Aquinas is anyone’s guess. I assume that he has heard of Albert the Great, Anselm, Thierry of Chartres, William of Conches, Hugh of St. Victor, the school of Chartres, the Abbey of St. Victor and the universities of Paris, Oxford and Bologna. Who knows how he fits them into his historiography. It is true that the European translation movement brought the wealth of Arabic learning into the Latin world in the 12th Century. But this hardly demonstrates that Islam saved classical philosophy unaided. When the Abbasid caliphate began its great Greek-Arabic translation project, the involvement of Syriac speaking Christians was crucial. As knowledge of Greek decreased elsewhere, monasteries like Qeneshre in the seventh and eighth century were translating Aristotle into the Semitic language of Syriac. This bridged the classical and Arabic worlds. We could also mention the tenth century “Baghdad Peripatetics”, a mainly Christian group of scholars who revived an interest in Aristotle in the heart of the Abbasid empire, and who included and influenced the great Al-Farabi. Or we could note how the works of the Christian philosopher John Philoponus influenced al-Kindi’s philosophy and Avicenna’s physics. In the light of such evidence, it just seems foolish to treat Christianity and Islam as two monolithic, barely interacting, competing cultures. Nor should we neglect the contribution of numerous Jewish communities. Each played a crucial role in preserving and building on classical culture. Like Islam and Judaism, Christianity is an Abrahamic faith which worships a God who speaks and commands. So it is hard to see how a church so focused on the spoken word could be essentially anti-intellectual; indeed the evidence of history speaks powerfully against the notion. And, yes, today secularism is ascendant; but the Church was never called to create a civilization, to achieve political power or dominate a culture. Islam seems to be focused on creating a distinctive civilization. So, when it is true to itself, Islam must either renounce the world or conquer it (of course, it need not conquer by violent means). But Christians are called to follow a crucified and resurrected Messiah in the Kingdom of God. This kingdom is born in the unruliest of places – human hearts – and will be consummated by God himself at the end of history. Meanwhile, Christians are called to be in the world, but not of it; to serve by proclaiming Jesus’ gospel, and by helping whoever we can, however we can, while we still can. In other words, if Christianity has “lost the West”, it’s not clear we should ever have tried to own it in the first place. And it is clear that the church has served Western civilization in numerous ways – not least in preserving the works of classical civilization.